Human movement through cities is largely constrained to pre-designed spatial networks that embody values of power, aesthetics, and prevailing technology. The quality of urban spaces – and for whom these spaces perform – rests upon these outcomes of urban design and architecture. 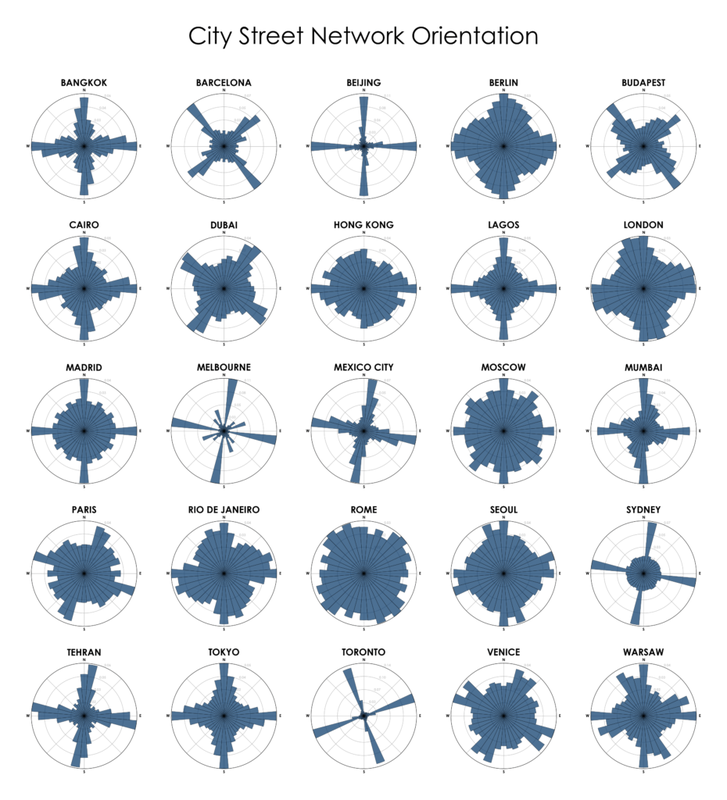 Although circulation networks critically underlie city mobility and human dynamics, it can be difficult to acquire and consistently analyze high-quality network data. This talk presents new urban data science methods to explore city spatial structure and circulation worldwide – including in developing countries. It considers how to understand urban equity, resilience, accessibility, and human mobility using open-source software and collaboratively-generated, free data. Finally, it introduces several tools and methods to understand, visualize, re-think, and communicate complicated urban patterns and spatial outcomes. Geoff Boeing is an Assistant Professor of urban informatics and planning in the School of Public Policy and Urban Affairs at Northeastern University. He is a faculty affiliate of the Network Science Institute and the Global Resilience Institute as well as a core faculty member of the NULab for Texts, Maps, and Networks. He received his PhD in City and Regional Planning from the University of California, Berkeley. His work revolves around urban form, spatial networks, and data science. Recent projects have focused on 1, the nature and character of urban street networks around the world and 2, how data availability shapes our understanding of housing affordability. He developed and maintains the OSMnx street network modeling software.